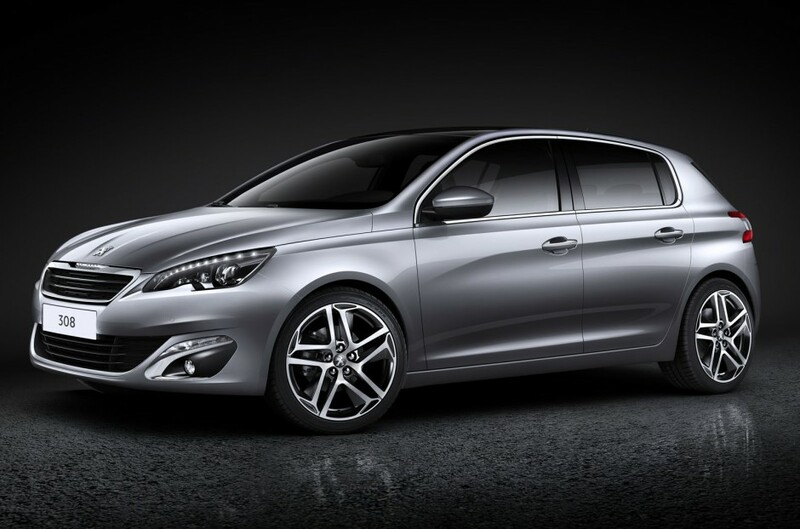 Following on from the attractive 508 and the practical 2008 crossover, Peugeot have turned their attention to the problem middle child of the range, the 308. The French manufacturer seems to have been chasing its tail looking for an impressive follow up to the enormously successful 306 of the mid 90s. The 307, whilst entirely competent, was bowled out of the water by the exceptional Golf and Focus models of the time with the first generation 308 suffering a similar fate. With this in mind, Peugeot have come to the table with a clean sheet approach to the design of this car and it is all the better for it. First off, this new 308 is a radical departure from the looks of the previous car. Gone are the awkward proportions and overly fussy curves and lumps. This car embodies a whole new design ethos with the new Peugeot trademark grille at the front, the flowing sporty lines down the flanks and a properly proportioned rear end with lights that help to emphasise the more aggressive stance that this car now occupies. Inside the revolution at Peugeot has really kicked in with a refreshingly clutter free dash featuring a touch screen for heating, audio and navigation controls. The dash cluster is moved higher up in the cabin meaning less time looking down at the clocks and more time keeping an eye on the road which is a feature that Peugeot are very keen on highlighting. On the move, the 308 is competent and reassuring. The 115ps 100g/km e-HDi diesel motor pulls away cleanly with just a hint of turbo lag evident. In gear performance is swift and overtaking is effortless once up to speed. The six speed manual box fitted to this variant is slick shifting and precise in a manner that is refreshingly modern when compared with previous generations of Peugeot model. If specified with the 150ps 108g/km 2.0 BlueHDi unit due out later this year, much punchier performance can be expected but fuel economy (67.2mpg combined) will be marginally less impressive than with the 1.6 diesel (74.3mpg combined). The Peugeot 308 makes a very good case for itself but ultimately still lacks the polish and sparkle of the class leading Golf and Focus models. Is it worth considering as an extremely capable alternative to the others? Yes, it is. The major differences in the drive are only really exposed at the edge of the car’s capabilities and 99.9% of fleet drivers will never need to go near those limits. The benefits to a fleet user are that the new 308 boast far superior residual values as well as exceptionally low CO2 across the range with the new BlueHDi engines due in March/April expected to only improve upon that. As a comfortable cruiser and mile-muncher, it is difficult to come up with any concrete reason as to why the new 308 should not be near the top of your shopping list.